Author Interview | I.K International Publishing House Pvt. Ltd. 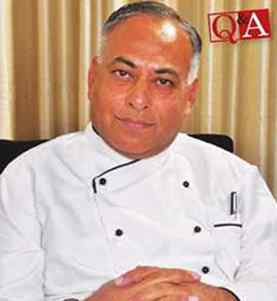 Chef YB Mathur is one of the senior most chef in India. He was associated with ITC Ltd and has more than four decades of experience in food production . After his retirement from ITC as Senior Executive Chef, Chef Mathur has been actively involved in training and skilling activities in the industry. He was also part of the National Skilling Mission and World Skills programme as a Cookery Skills Expert . 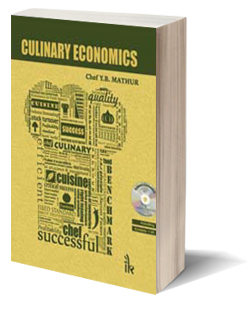 - Culinary Economics - is a must read for people in th academia, students and industry professionals and enterprenuers for its insightful content. Chef Mathur shares the approach of the Book with Hospitality Biz. Q What made you write a book on Culinary Economics? Chefs are responsible for food costs. Throughout my career, I have had a tight-fisted approach towards food and administrative costs. Tireless striving to control costs have given me opportunities to examine costs differently and train my sous chefs and kitchen personnel on effective food cost controls. Critical Control Points for control of food costs extend beyond day to day food production. My knowledge and insights was the opportunity to be of service to the hospitality industry, to give back, and to enable the chefs to create the right ecosystem towards economics of food production. I have therefore undertaken an evangelist mission in writing the book. Q What is the concept of Culinary Economics in food production? It is important for any food and beverage business to ensure that a customer has a great and memorable dining experience. Purchase prices of all raw ingredients increase regularly. Increasing menu item selling prices in line with increase in market prices reduces the value proposition for the customer. Food products and raw ingredients are highly perishable and their inefficient handling results in spoilages, wastages and higher costs. The concept as well as actualisation of Culinary Economics would ensure quality food production is supported by cost-effectiveness of the business and its enhanced profitability. Q How important is it for chefs and people in food Production to understand Culinary Economics? Historically chefs were exponents of practical culinary arts. They were responsible for only quality food production and its timely delivery to customers. Contemporary chefs have taken over the role of a business leader in addition. Chefs are responsible for enhanced revenues, food costs and profitability of the business. Profitability in food business relates to 'contributions' to the bottom line. Economically run food business should contribute upwards of 44% of net revenues to the bottom line, hence the need for food production personnel to understand culinary economics. Q What is the kind of treatment that you have given to the subject in your latest book? The contents of the book are presented in a simple to understand, easy-to-remember and easy-to-actualise manner. The text is eminently supported by case studies and examples from my long and deep-rooted industry experience. Clarity of the text has been enhanced by 40 exhibits. These exhibits include master exhibits on the topics of materials management, controls and cost-effectiveness as well as step-by-step process flowcharts, aids-to-memory, ready-to- use templates, and formats. No effort was considered too big and no detail was considered too small while writing this book. Culinary Economics would reflect my tireless striving towards perfection. Q Who are your target readers for the book? The teachings of the book would prove invaluable for hospitality professionals - students, trainers, chefs, food & beverage managers, corporates, venture capitalists, entrepreneurs, consultants, operations and finance auditors, food & beverage controllers and many more professionals in the food & beverage business. Q Why is it relevant to have such topics to be part of the hospitality education curriculum? Profits are the key-requisites of any business. Hospitality / culinary management academics must include teaching and training of cost management of food oriented business. The training would ensure the student's higher acceptability during placement interviews and quality career opportunities.